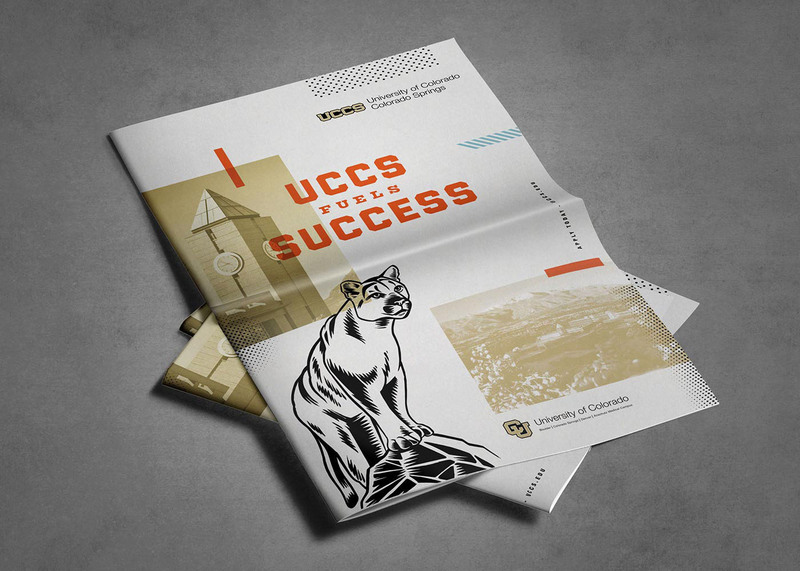 Reposition University of Colorado Colorado Springs in a way that would both leverage the power of the CU brand and set UCCS apart from its CU-system counterparts and other universities. 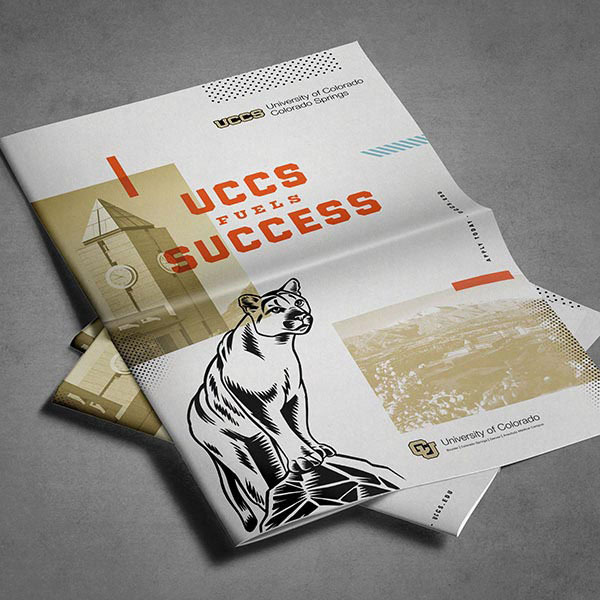 Develop a campaign look and feel that would break through the dull clutter of higher education advertising to improve brand perception and build awareness around what makes UCCS such a unique university. 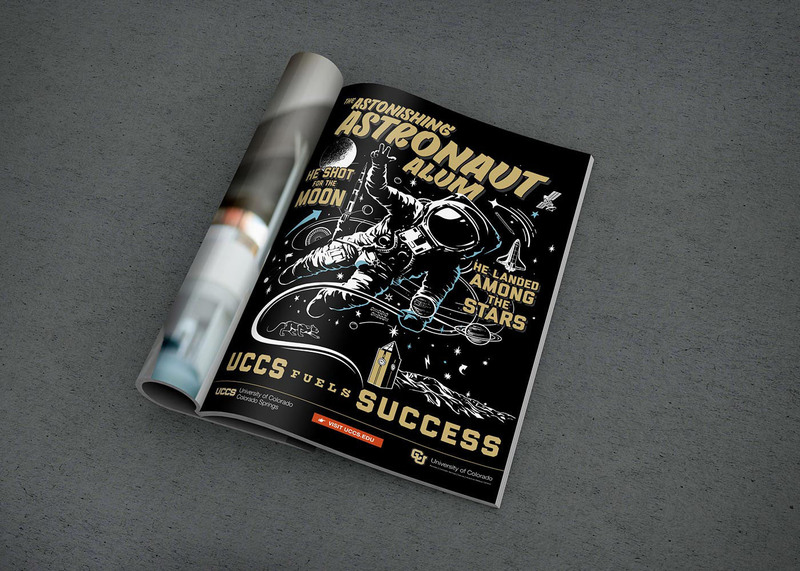 UCCS is unequivocally committed to student outcomes and the launch of the "UCCS fuels SUCCESS" campaign in Fall 2018 puts a stake in the ground, claiming this territory for the university. 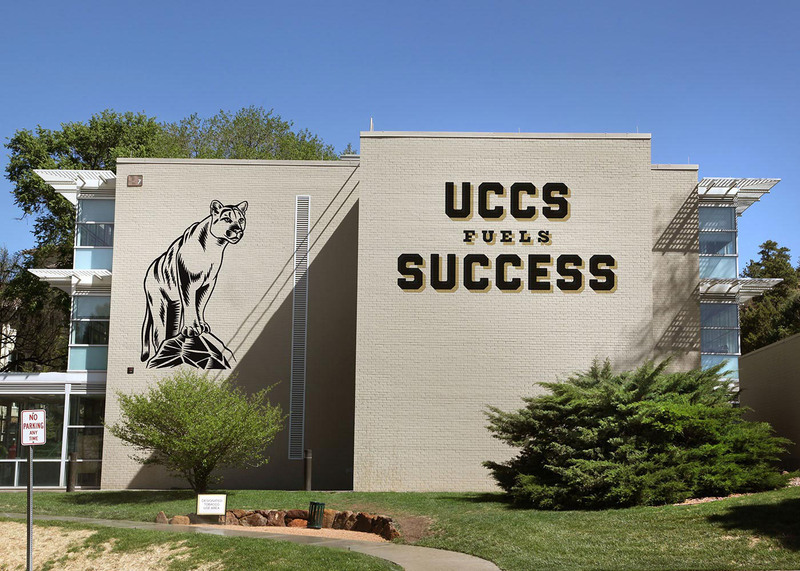 "UCCS fuels SUCCESS" conveys an integrated and holistic overview of the UCCS experience that speaks to, and instills pride in, student prospects, current students, parents, faculty and alumni. 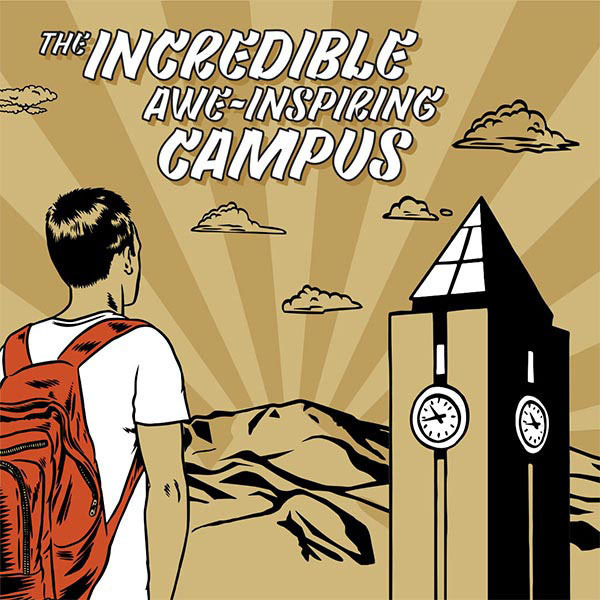 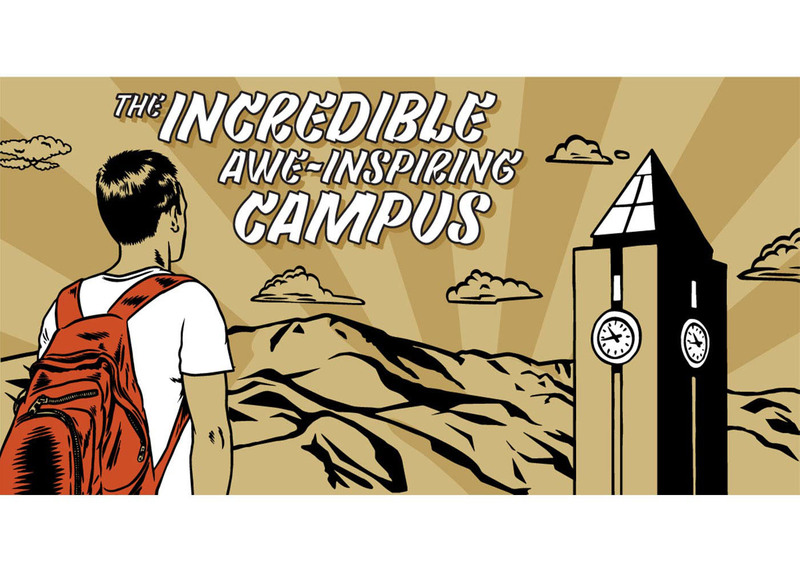 The campaign celebrates students as real heroes with an illustrated graphic novel visual style and outcomes-focused copy that brings their success stories to life. 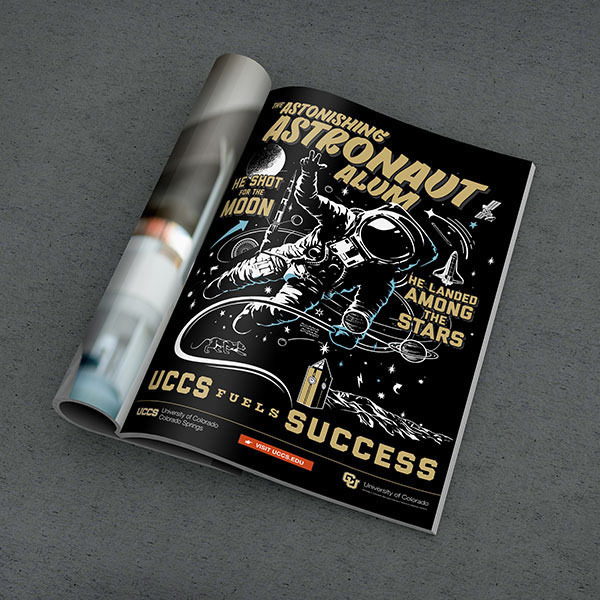 Bright accent colors, graphic shapes, textures and tonal photography work together to create a cohesive but eye-catching campaign approach that is hard to miss. 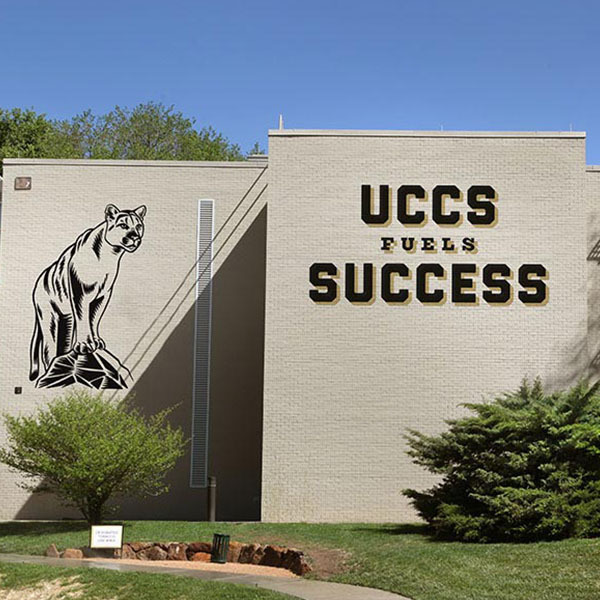 The integrated "UCCS fuels SUCCESS" campaign launched in the Colorado market in September 2018. 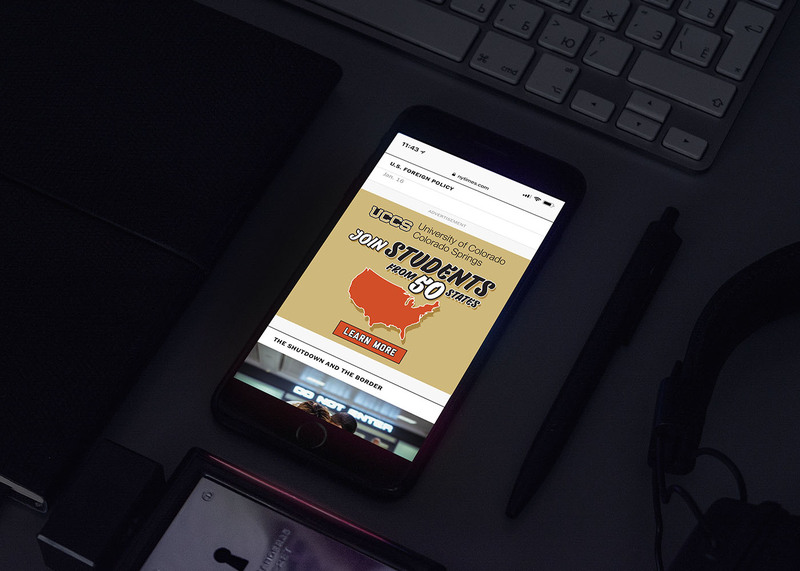 A long-form video served as the anchor for the campaign. 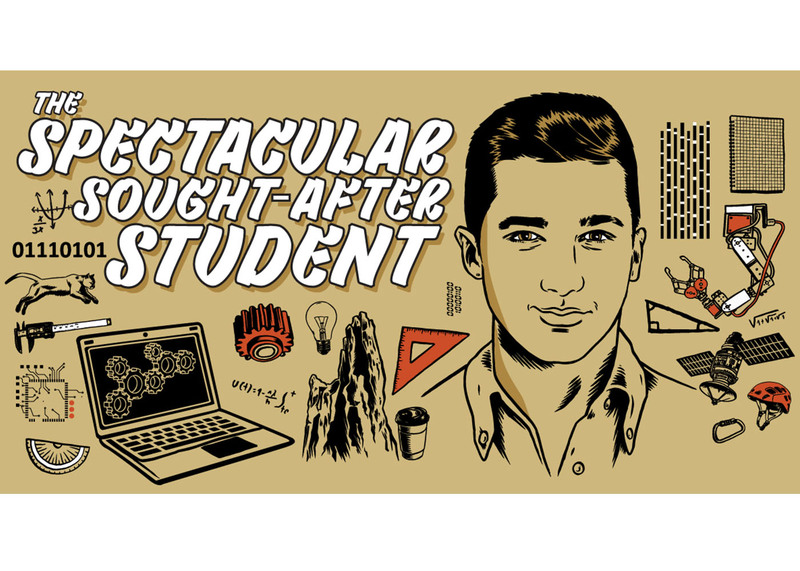 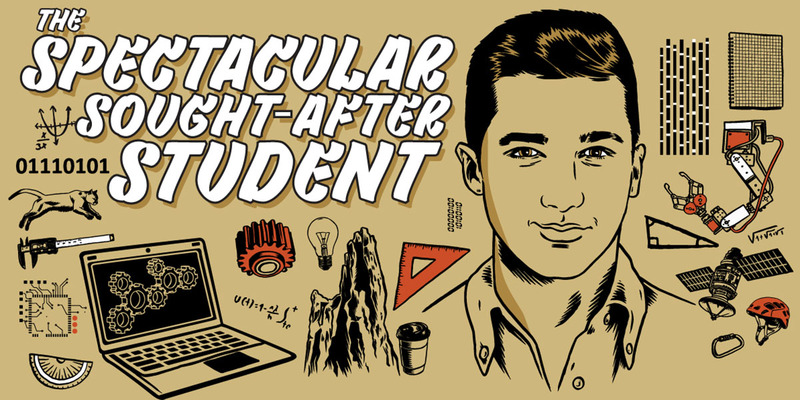 This stop-motion piece featured a mix of real students, photography and illustrations, speaking to the many dimensions of the UCCS student experience. 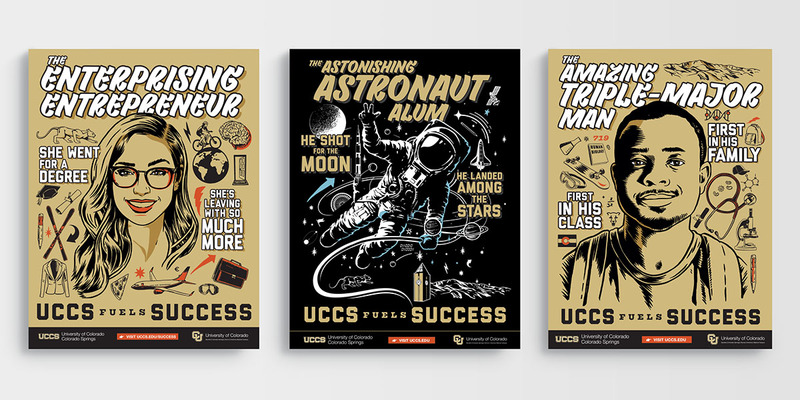 Additional campaign components, including a redesigned and architected website, digital display, social, print, collateral and on-campus branding tell the "UCCS fuels SUCCESS" story across the entire customer journey. 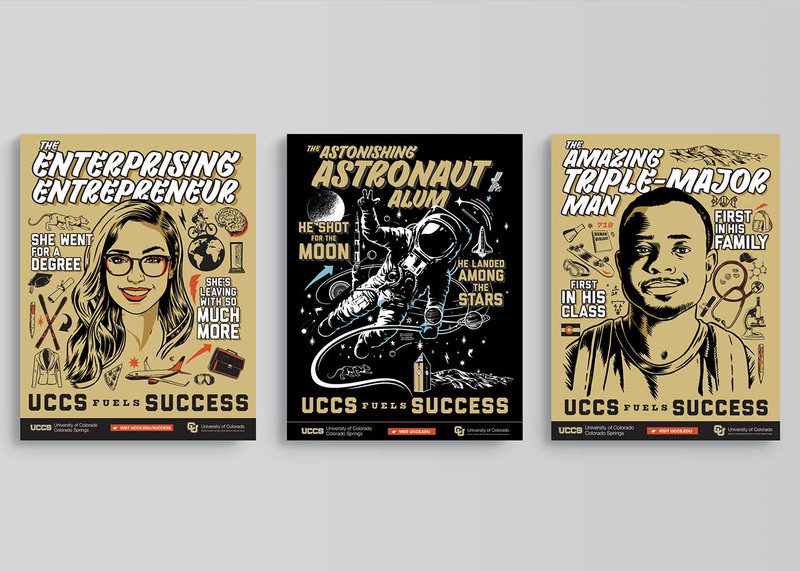 The brand awareness campaign generated 50 million impressions in its first four months, raising awareness for UCCS across Colorado through print, out-of-home, digital and TV. 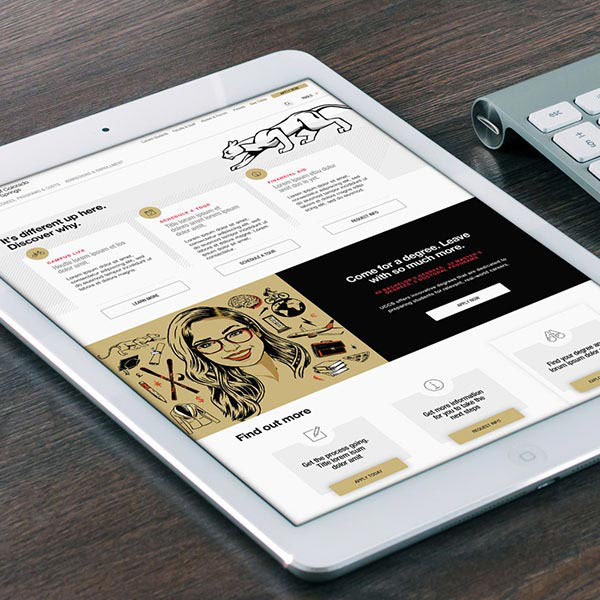 Digital tactics have seen 10.5 million impressions and over 2 million video completions thus far. 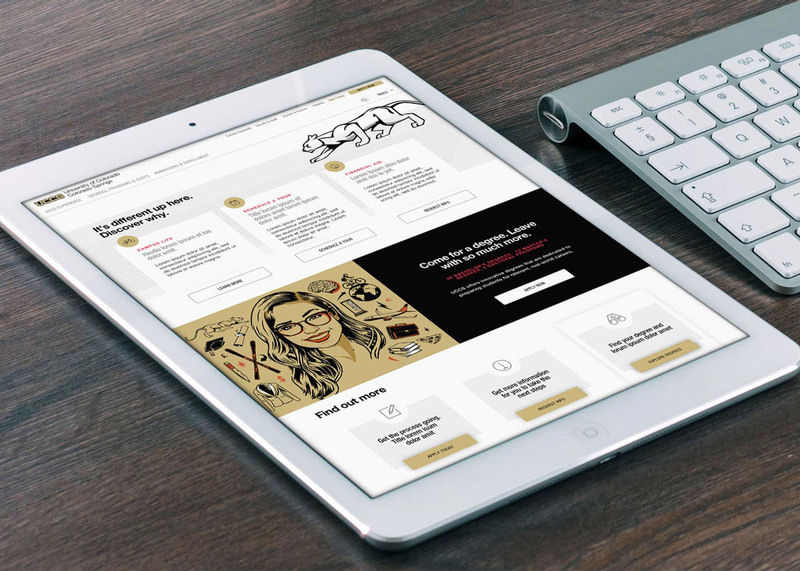 This includes digital display banners, YouTube pre-roll, connected TV, social and paid search. 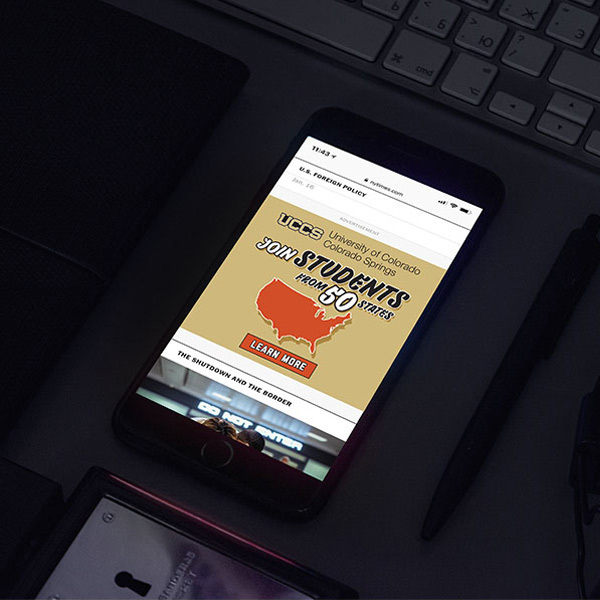 Media tactics and supporting collateral for the campaign have been extremely well-received by prospective/current students, alumni and faculty. 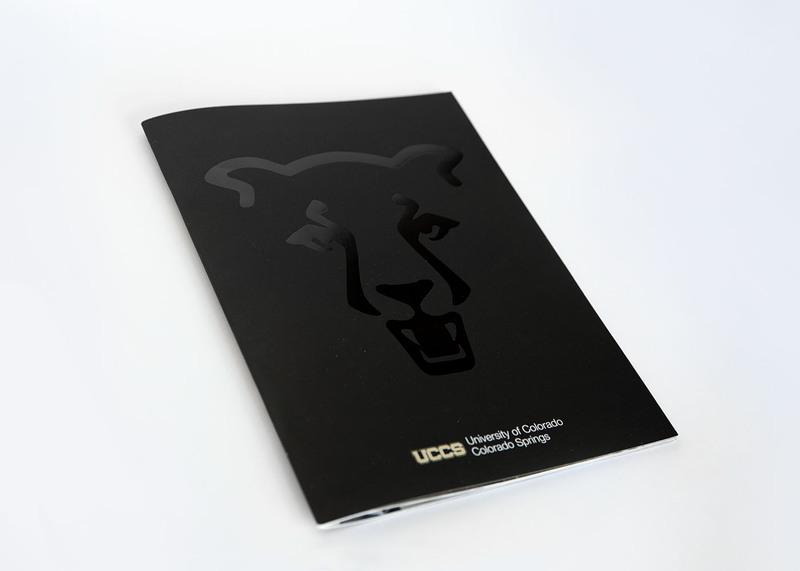 Our supporting collateral pieces have been utilized around campus, at events, college fairs, campus tours, etc. 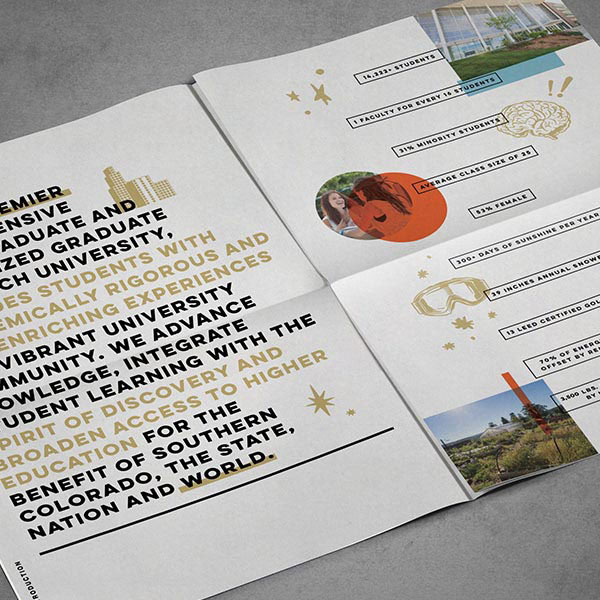 and have garnered much attention from our audiences (as well as from competitor schools). 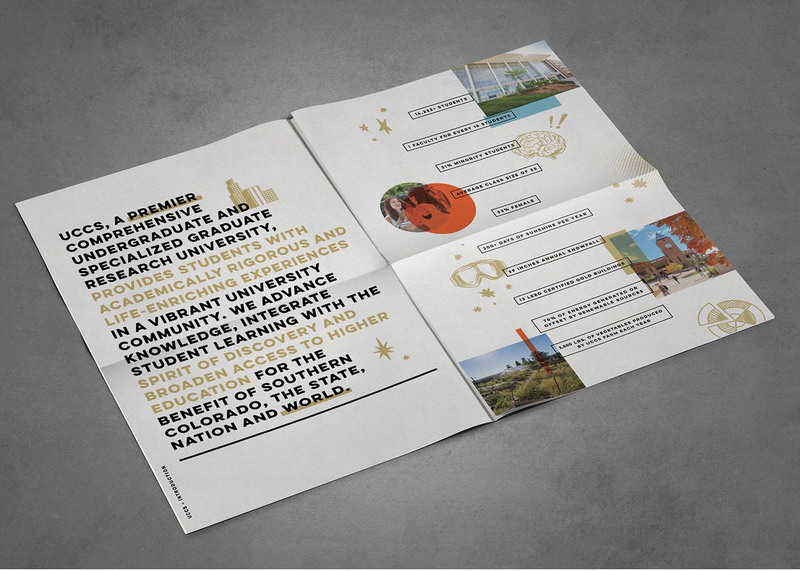 The campaign has won Gold and Bronze awards for the TV commercial and the Viewbook respectively at the CASE conference (2019 District VI). 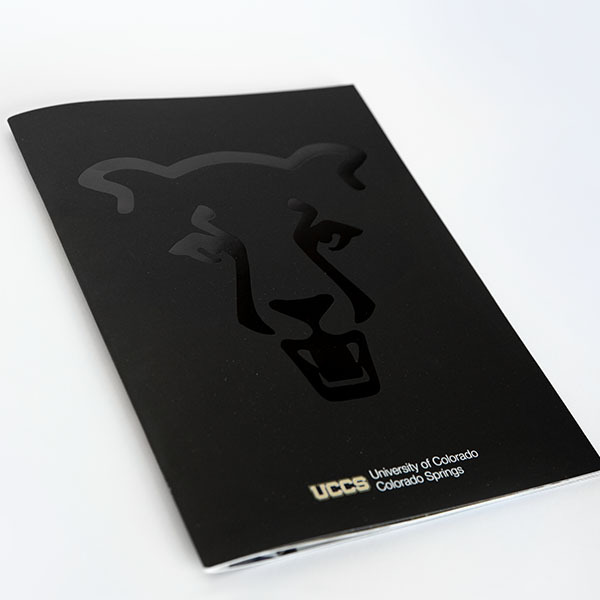 Full results and impacts of this campaign will be evaluated pending a follow-up awareness/perception study that will be conducted in Fall of 2019.